While students aren’t exactly renowned for being the most organised bunch, it might not be a totally deserved reputation. 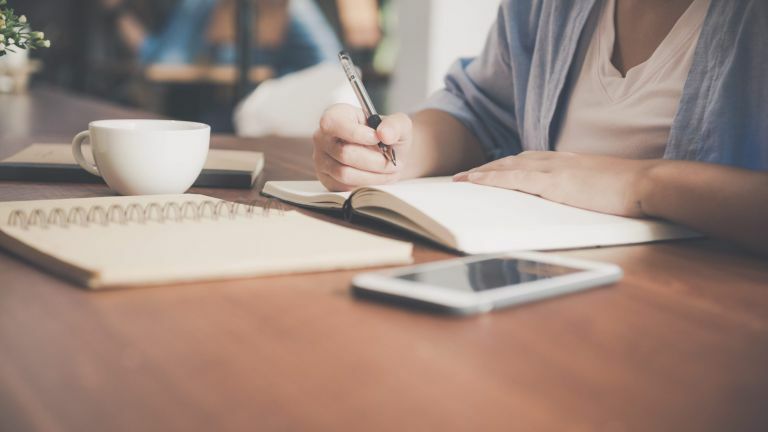 For those determined to get their ducks in a row when it comes to lectures, assignments, extracurriculars and social lives, one of the best student planners can be a really helpful ally in the war against procrastination. You might be surprised to find that there are almost as many types of planner as there are types of user. For the run-off-their-feet, down-to-the-minute planners with extracurriculars coming out of their ears, there are day-to-a-page diaries like our pick from Langham by Ryman; for endless jotters, doodlers and “whoops, forgot the important bit”-ers, there are A4 diaries like our lined week-to-view version from Pirongs. And for the rest of us? There’s our best all round, the Weyers and McMillan Student Planner, which offers sage life advice and organisational acumen aplenty. That’s not all though – keep reading below for the rest of our best. If you’ve ever enlisted the services of the Study Skills series, chances are you’ll like this organisational offering from the books’ authors Jonathan Weyers and Kathleen McMillan. Our first choice is way more than just a student diary: like is long-form cousins, it’s packed full of study skills, hints and tips; it has timetables for quick reference and note pages for longer-form jottings; and while its spiral-bound, plastic-coated construction might not initially look as enticing as something with llamas on from Paperchase, it’s incredibly easy to use and navigate, and stands up to soakings from loose drinks bottle lids. For dedicated note-takers, sometimes nothing short of an A4 diary will do. This week-to-view diary from Pirongs is just the ticket, laying out your Monday to Sunday week across a generous double-page spread with edge-to-edge lines, giving you tonnes of space to take notes, and giving this one the edge on the Weyers and McMillan planner for those who feel restricted by small day boxes. All in all, it’s very minimal and very sleek, and the textured hardback cover feels grown-up in whatever block colour might go with your aesthetic. Although for our money, we think the limited edition confetti-style geo cover is the snazziest. The Palgrave Student Planner is a beloved classic for a reason, again, not just a diary, but a useful reference tool for complete, all-round self-management. With timetables, pages for lists, a today marker to keep you on track, financial advice, a page for useful contacts and a plastic pouch plus elastic strap to keep track of those little items that always seem to go awry, it’s a PA in a small paper package. But it’s still, under it all, a diary at heart, and with its clear compartmentalised pages with days broken into vital info (Time, Activity, Where and To Do) a very helpful diary at that. It can be tough to find mid-year day-to-a-page diaries (for one thing, show us a student whose day starts at 8am), but for those happy few, Ryman has created the perfect diary in the form of this elegant offering from their Langham range. Busy bees will find it easy to see their whole day at a glance while simultaneously keeping an eye on where they are in the academic year, with time slots from 8 ‘til 6 and diddy facsimiles of the year’s calendar at the bottom of each page, so whether you’ve got an early seminar, a workshop, or a date night to jot down, you’ll always know whether you’re coming or going. If you’re looking for a diary with a little more personality than our block-coloured or all-black prints, but is still grown-up enough to see you through changing tastes and proper adult meetings, this one from Busy B may just see you right. It’s pretty but still pared-back with its simple leaf motif and elegant colour scheme, and its August to August 13-month configuration will see you right through the year with unique double schedule, handy pockets for all those inevitable loose handouts, and more features that make this a great diary for life outside of uni too.